This paper proposes a modeling method based on selective ensemble BP neural networks for the thermal error of machine tool spindle. The fuzzy c-means clustering (FCM) algorithm and the correlation analysis were utilized in combination to select the temperature-sensitive points. A certain number of individual BP neural network models but with instable prediction performance were generated using different training sets and random initial parameters. Then, each individual BP neural network model was assigned a weight, and the genetic algorithm was used to evolve the weights. Afterwards, a prespecified threshold value was applied to select the individual BP neural network models to constitute the ensemble model. Taking a horizontal machining center THM6380 as an example, the thermal error experiment was carried out, and the prediction performance and generalization performance of the selective ensemble BP neural network model were compared with the single BP neural network model, the multiple linear regression (MLR) model, and the least-square support vector machine (LS-SVM) model. 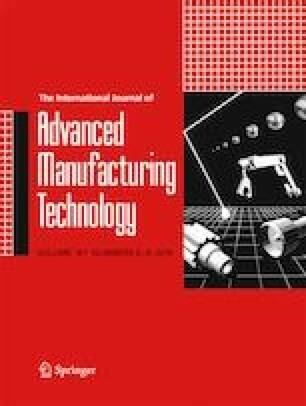 The comparison results indicated the superiority of the proposed modeling method, which provides a new idea for thermal error modeling and subsequent thermal error compensation of machine tool spindle. This research was financially supported by the National Science and Technology Major Project of China (grant no. 2017ZX04020001-005) and the Science and Technology Support Plan Project of Sichuan Province, China (grant no. 2017GZ0057).